Get the latest news about the DIY industry every day. 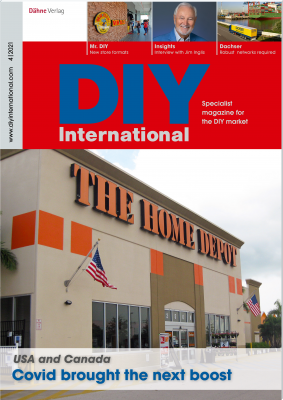 Get the latest news about the international DIY industry weekly. This free trial offer includes two successive issues of the magazine DIY International. If you contact the publisher within 10 days after receiving the second issue, expressing your wish to discontinue the subscription, the contract will be null and void. Otherwise we will deliver 4 issues of DIY International per year at the special subscription price. The invoice is valid for 12 months, regardless of the calendar year. The subscription will be automatically renewed for a further year unless it is cancelled at least six weeks before the end of the subscription period. Delivery time appr. 1-3 workdays.